Superposition, originally uploaded by annyia. I'm looking for a hack bike for the winter since I don't have a bike which takes mudguards. I have little or no money to spend on this.. Ideally I'd like to build up or removate an old bike, preferably at a bike recycling scheme. Does anyone know if there are any in Hertfordshire? Alternatively if you've got a small framed road bike to give away/sell very cheaply please get in touch. 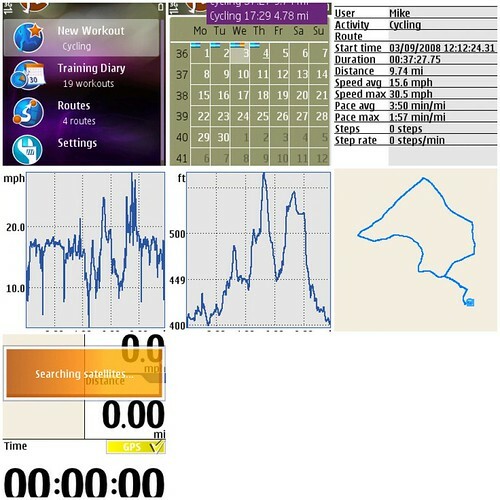 Sports tracker mobile interface: GPS, originally uploaded by mike1727. If you've got a Nokia N series phone with a GPS (or, I think, any S60 3rd edition phone with a GPS) you should give this a try. The app is free from Nokia. The app calculates speed on the fly and maps it against distance travelled and workout time- it does the same for alititude too. You can then upload this data to the Nokia site where it's mapped, or export in a number of formats, including google earth. Which is nice, or will be when I get round to doing it. If you take photos you can upload them to the Nokia site too, and you can plot your progress to the site live if you want. 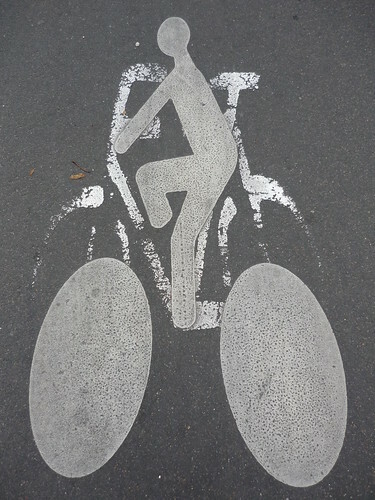 I map routes on GIS sometimes. I've been using the app for a couple of months now and it's generally pretty good. It does miss a few data points- one commute route varies by up to half a mile sometimes, and speed and altitude sometime go titsup too.